Can Alabama Rot be avoided? 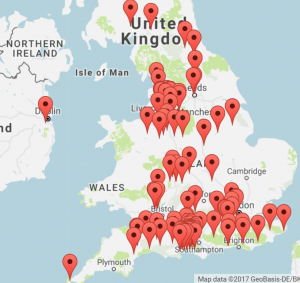 Since December 2012 AlabamaRot.co.uk has compiled two Alabama Rot maps: the Confirmed Alabama Rot Cases Map and the All Alabama Rot Cases Map (confirmed, unconfirmed & suspected cases). With the agreement of the Alabama Rot Research Fund & Anderson Moores Vet Specialists, both these maps have been retired from 5th October 2017. 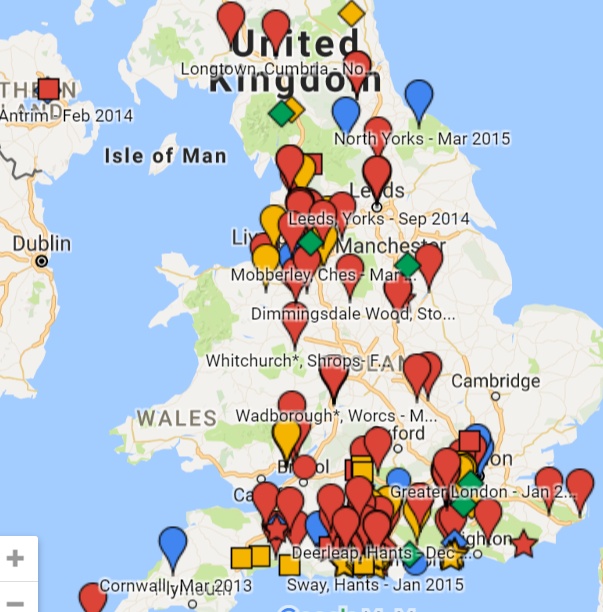 Instead, we suggest dog owners check the Vets4Pets map of confirmed Alabama Rot cases. 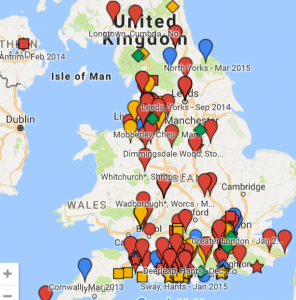 There was a confirmed case in Galashiels last year and it isnt on the map. There was an unconfirmed one I think in Dalkeith right at the start as I had a vet stay with me at the time and she told me it was this. 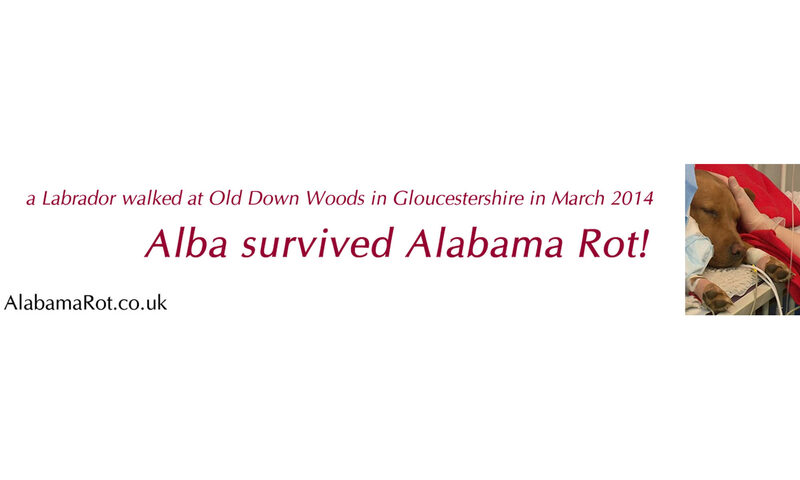 Hi just one question, it this Alabama rot a viral, bacterial or fungal infection? If it is none of these them maybe radiation should be considered. If that’s the case then there is not cure and the precautions would be to only walk dogs around your own garden. I am so sorry for the loss of your almost 3yr old weim over the weekend. Which woodland(s) was he walked in up to 2 weeks prior to the lesion? Which vets treated him? I am so sorry for your loss . You must be at your wit’s end with worry for your other dog. I suggest you ask Heathfield vets https://www.facebook.com/HeathfieldVets/ to talk to Anderson Moores Vet Specialists http://www.andersonmoores.com/vet/news about Alabama Rot symptoms.